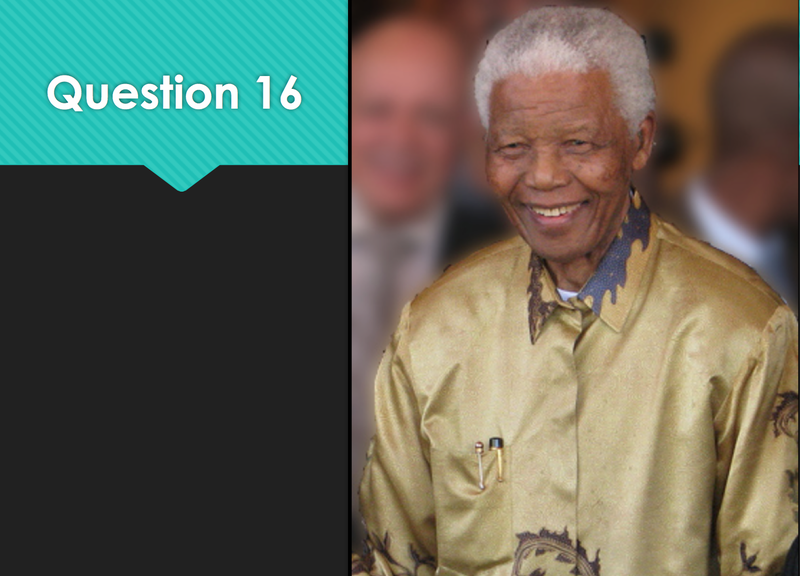 A little more than half of my students correctly identified Nelson Mandela, and most of the rest who couldn't remember his name seemed to genuinely believe that they KNEW him and were genuinely TORTURED trying to pull his name out of their brains. I know this. I know him. I can’t remember this guy’s name! President of An African Country. Is in Jail. Morgan Freeman looks great in this picture. Africa. He went to jail for along time. He was a king.